I needed a tool to batch resize transparent images, so I started searching around. I found ImageMagick which does the trick perfectly. Here is a simple guide on how to (batch) convert images using ImageMagick. 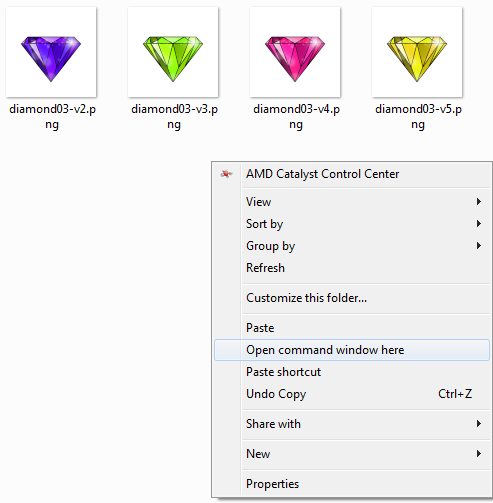 Right-click in your folder with the images while holding Shift. In your menu, you will see “Open command window here”. What this will do is resize all .png files in the folder and it will give them the filename you specified + 1 number. The size will be 100×100. Simply edit that data to suit your needs. See the image above. 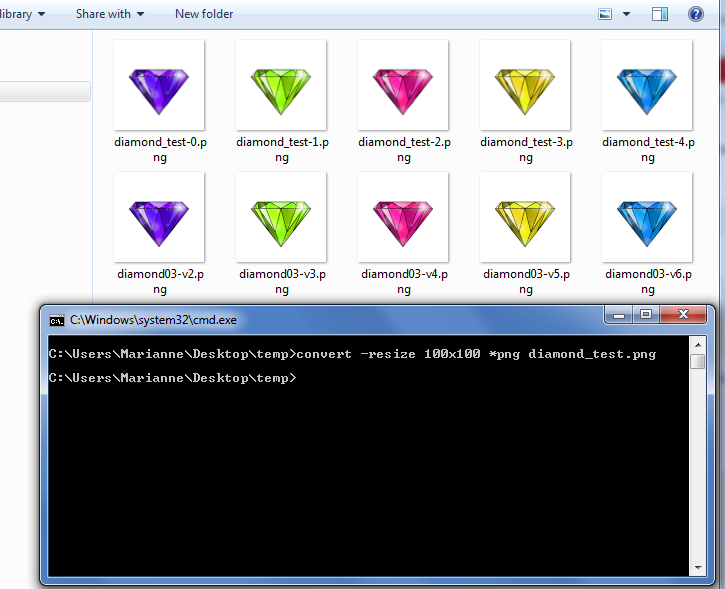 The files called diamond_test-*.png are 100×100, the files below it are the original sizes. Again, what this will do is resize your file called filename.png to 100×100 pixels and it will call it filename_new.png. It’s pretty simple and very useful. Good luck!